ST. GEORGE — A Millard County man is in jail after he allegedly threatened a resident with an ax and then led police on a series of pursuits early Friday morning. 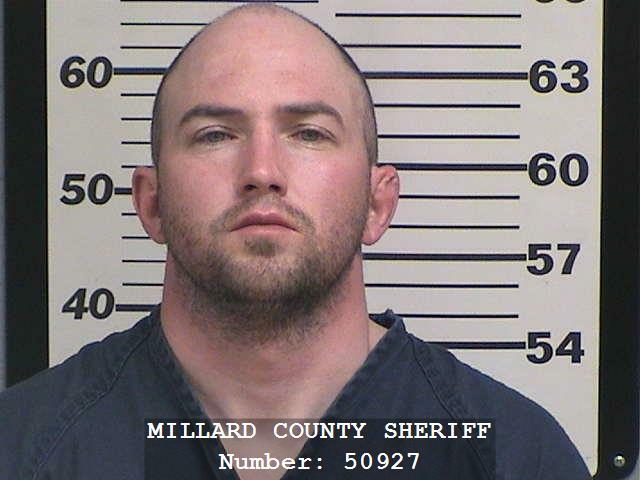 Just before 4 a.m. Millard County Sheriff’s deputies responded to a call on Scenic Highway in Fillmore involving a man who was found outside of a residence holding a long-handled ax, according to a press release issued by the Millard County Sheriff’s Office. The resident told arriving deputies they were awakened by a man yelling outside. After grabbing a weapon, the resident opened the front door and was confronted by the ax-wielding man, who was yelling for them to come outside, according to the press release. Once the suspect saw the resident’s weapon, he got back in his vehicle and fled the area. The suspect “appeared to be under the influence of drugs” when the incident took place, according to the probable cause statement submitted to the court in support of the arrest. A deputy found the man, who he recognized as 32-year-old parolee Nathan Hare, sitting inside of a vehicle near the front of the residence where the incident was reported, the Sheriff’s Office stated. 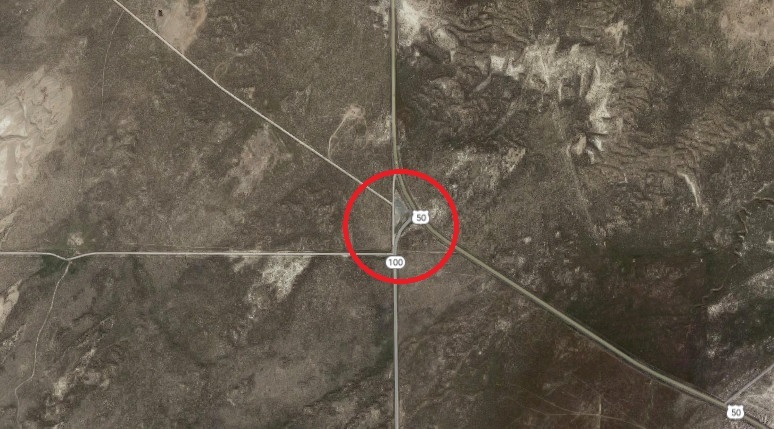 The deputy activated his emergency lights to initiate a traffic stop, but Hare allegedly fled north in the vehicle at a high rate of speed, at which time a pursuit was initiated. The defendant allegedly continued driving north on Scenic Highway at nearly 100 mph, running through a stop sign at the intersection of state Route 100 while swerving back and forth across the roadway. Meanwhile, spikes were deployed near the intersection of SR-100 and U.S. Route 50, which punctured all four of the suspect’s tires, causing Hare to lose control of the car as it crashed into a fence. Police say the defendant then grabbed the 3-foot-long ax and fled on foot into tall sagebrush in the area. Deputies set up a perimeter while additional resources were called in, including search and rescue teams from both Fillmore and Delta to assist in a ground search, as well as agents with Adult Probation and Parole. A Department of Public Safety helicopter was also dispatched to the area for an aerial search. More than three hours later, Hare was located on a dirt road less than four miles from his vehicle. Police state that he surrendered to authorities and was safely taken into custody at approximately 8:45 a.m. Given that Hare was exposed to wet and cold conditions during the lengthy ordeal, he was taken to the hospital and medically cleared before being transported to Millard County Jail. During a search of the suspect’s vehicle, deputies allegedly found five knives, two hatchets and one can of pepper spray. Hare was booked into jail on 11 third-degree felony offenses, including aggravated assault, burglary and nine counts of transaction of dangerous weapon by a restricted person, according to court records. The defendant also faces five misdemeanors, including two counts for failing to stop at an officer’s command, one count of threat/use of dangerous weapon during a fight, criminal trespass and reckless driving. Police also cited him for unsafe lane travel and right-of-way stop sign violations. Hare is being held on $64,100 cash bond.